Big, if belated, news this morning is Washington state’s victory before the Washington, D.C., Circuit Court of Appeals in its efforts to get the federal Nuclear Regulatory Commission to follow the law on a long-term nuclear waste repository. In its 2-1 ruling, the appeals panel ordered the NRC to resume its work on whether Yucca Mountain, Nev., would be a viable site for the long-term storage of the nation’s commercial nuclear waste now stored on nuclear plants around the country. Besides the waste stored at Washington state’s lone nuclear plant, Columbia Generating Station in Richland, Washington state is acutely affected because the Hanford Nuclear Reservation contains more than 50 years of Cold War-era nuclear defense waste, also intended for long-term disposal at Yucca Mountain. 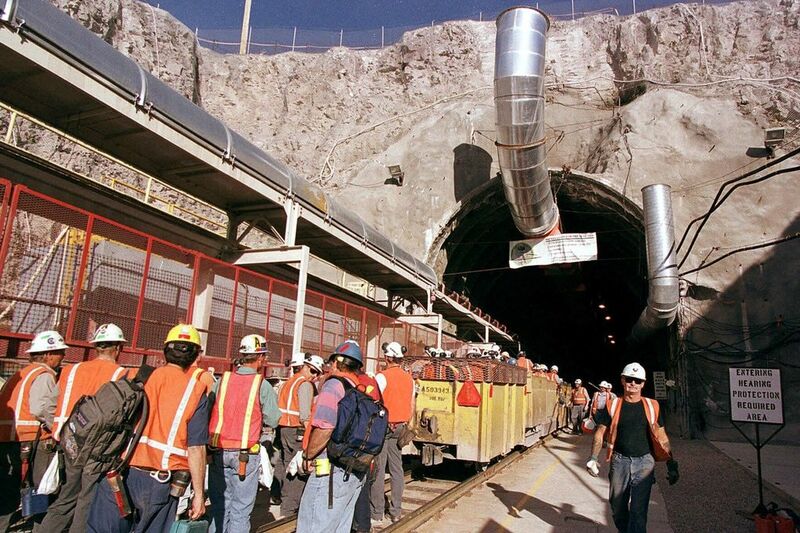 The Obama administration and its NRC violated the law when they unilaterally stopped work on studying the Yucca Mountain site, which Congress designated the nation’s long-term repository in 1987. About $10 billion has been spent studying and preparing the site. This episode is rife with political gamesmanship, as I detailed in this 2010 column. Senate Majority Leader Harry Reid has bitterly opposed the Yucca Mountain site in his home state, and candidate Barack Obama, in 2008, campaigned in Nevada against the site. Reid, a Democrat, was able to get his former aide, Gregory Jaczko, appointed NRC chairman, which began a sorry episode in the commission’s long history as a reputable and regulatory agency. Jaczko stopped the work before a much-anticipated study, known as Volume III, was to be released. The study is said to contain technological data that could shed light on whether Yucca Mountain was viable as a longterm site. This case has serious implications for our constitutional structure. It is no overstatement to say that our constitutional system of separation of powers would be significantly altered if we were to allow executive and independent agencies to disregard federal law in the manner asserted in this case by the Nuclear Regulatory Commission. Our decision today rests on the constitutional authority of Congress, and the respect that the Executive and the Judiciary properly owe to Congress in the circumstances here. If the NRC follows the court’s ruling and the law, at the very least, the agency should be able to release the critical Volume III study to shed some actual technical light on this critical public policy issue that has been so utterly obfuscated by political shenanigans.